Welcome back. In this post I will build on my previous unboxing and onboarding post to detail some of my actual experience in using Project Fi. My Project Fi phone was first activated at home. My neighborhood is notorious for bad cell reception, and I rely on a AT&T microcell to have reliable AT&T service in my house. In fact, that is one of the reasons I was interested in Project Fi. I would love to rid myself of the microcell and not have to worry about handoffs when arriving or leaving my house. As mentioned in the first post, Project Fi uses a combination of Wifi, T-Mobile cellular, and Sprint cellular signals to provide voice and data services. The phone worked great on my Wifi, and placing calls was easy, reliable, and consistent. I turned off the Wifi in anxious anticipation of what cellular signal strength I would get from Fi. After a short 5-10 second delay, up popped a T-Mobile LTE signal that, while not 5 bar strength, gave me great coverage in all parts of my house. Wonderful! So, there I was with no data signal through most of my walk. Subsequent journeys to other parts of Nashville showed the same tendency – signal, but no data. Other trips around Nashville over the initial weekend ended up with the same symptom – a voice signal but no data connectivity. I headed to work on Monday to more in-depth testing. The ATT network is somewhat flakey at my work location as well, though since we’ve moved to the front of the building I haven’t had any connection issues. Comparing my ATT phone and the two Project Fi carriers, I found good connections with all three. Speed was another issue. Of the three carriers, T-Mobile had the fastest speeds, something that I have heard from several people. Sprint had the worst, though I’ll talk about that later. ATT was still serviceable. Here are the Mbps speed numbers for download/upload: 7.23/.33 ATT LTE, 1.65/.78 PFi (Sprint EVDO), 10.33/9.82 PFi (T-Mobile LTE). Throughout the next week around Nashville, this trend continued, with ATT and T-Mobile having similar coverage with Sprint having smaller coverage while seemingly limited to EVDO, not their LTE network. So why no LTE? No one seems to know, including the aforementioned great Project Fi tech support. This underscores the issue with Project Fi – it is truly a beta product, with transferring calls and signals between cell towers of different systems still being an unexplored territory. At the end of the first week, my family and I took a quick trip to Paducah, Kentucky. This gave me two more data points to consider. First, on the way up I-24 a very important call dropped. This is an example of not being able to trust the network and also not being willing to test it out. It could be that the call would have dropped even if I was using my AT&T phone. But since I can not test concurrently, I attribute the failure to Project Fi. Additionally, I also discovered that while on the call, I could not use data. 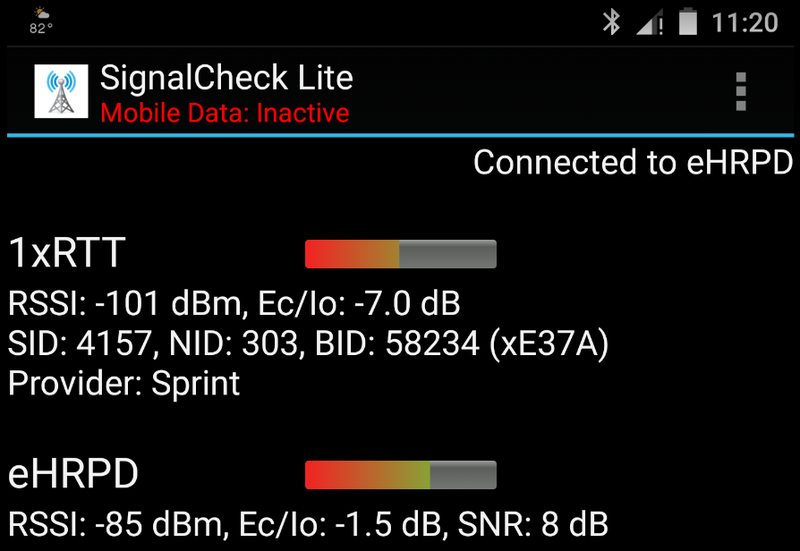 This problem is well documented for Sprint LTE, but I seemed to be on T-Mobile service. You can see from the screenshot that, unfortunately, the signal had dropped down to GSM, eliminating the ability to use voice and data concurrently. After using AT&T for so long with concurrent data, this would be a very hard thing to accept. Second, upon arriving in our Paducah Airbnb in Lowertown, I quickly discovered that I had zero coverage on Project Fi. No T-Mobile and no Sprint. This was the final, perhaps defeating blow. If I’m in a relatively large town, I expect coverage. 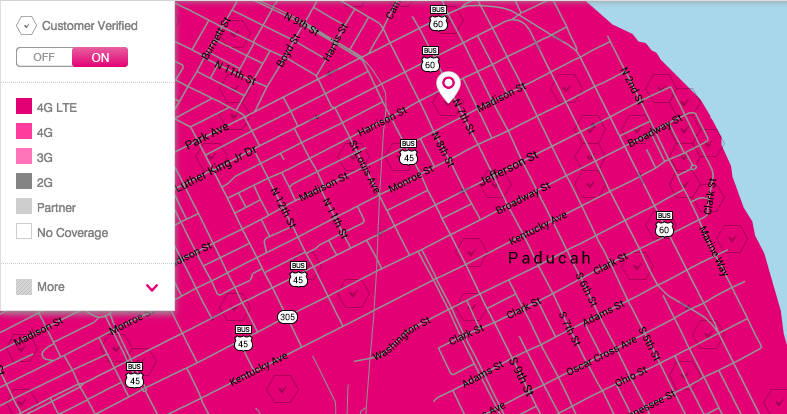 The coverage maps for both Sprint and T-Mobile show LTE coverage, and the T-Mobile map even shows Customer Verified on the exact spot I was testing. As you may have figured out by now, the answer to my opening question is no. Project Fi is not reliable enough right now to deserve my faithfulness. I know enough both technically and experientially to realize that what they are trying to do is very hard. 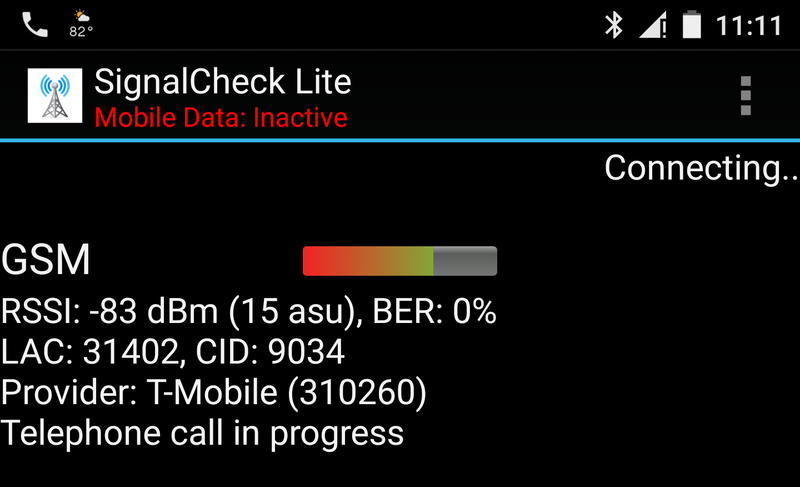 Switching between three sources of signals (WiFi, Sprint, T-Mobile) compounded by multiple types of signal (GSM, EDGE, EVDO, LTE, etc.) per source is incredibly complex. However, in talks with their tech support I also know that of any company out there, they are the best suited to figure it out. Why? Because so much of this is signal data collection against geographical data background. Their experience with Google Maps gives them an advantage over other parties that might try to do the same thing. Over time, they will be able to optimize the hand-offs based on location, direction, speed, equipment, time of day, season, and weather. The big question is if that optimized hand-off network will ever be as reliable as other, single-sourced networks. Only time and experience will tell. So where does that leave me and my Nexus 6? I see two choices. One is to ditch Project Fi, put my AT&T SIM in my Nexus 6, and sell my Galaxy 5. Two is to keep Project Fi around, paying $20-30 per month as my curiosity tax, using it from time to time to keep tabs on progress and diversify my network coverage. This latter possibility came to mind last week when AT&T had a regional data outage. My AT&T phone had no data access for over three hours and without my Project Fi phone, I would not have been able to use Google Maps to get to a location I had never been to before, or forward an important document through email at a conference later on. I could keep both phones or just keep both SIMs and swap them out when needed or desired. I want to believe in Project Fi. Just as Apple and the iPhone paved the way for carriers to become dumb pipes, I see Google as paving the way for wireless data to be a commodity, much like electricity and water. Their pricing is already putting pressure on the major players, joining T-Mobile and Sprint to help erode the contracts and subsidies that have ruled the U.S. carrier ecosystem for so long. Verizon is the latest carrier to announce a move away from contracts and to more simplified pricing. In the long term, this will be good for all of us.